In 2014 Jason along with other camp alumni founded Jewish Camps USA. Jason is the executive director and has spent 8 summers at camp. 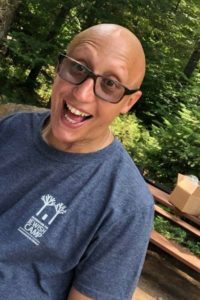 Jason spends his year making sure that camp life continues and then supplies opportunities for staff around the world to go on a Jewish journey. JCUSA’s mission is to bring the diaspora to camp and give campers the chance to meet Jewish people from around the world. JCUSA’s programme focuses on each individual and Jason makes sure that he knows every person that goes to camp. Jason spends his summers visiting the camps we work with so our understanding of the each camps programme, culture and traditions will be right for each staff member. Jason makes camp away from camp, the JCUSA family, a home for so many and supports our staff through the whole process. Jason says at camp you are the best version of yourself and it brings the best people in the world together. Elana first went to camp in summer 2012 on the West Coast to Camp JCA Shalom in Malibu. She was part of the original English delegation that helped found Jewish Camps USA. Elana graduated from Nottingham Trent University with a BA(Hons) in Marketing in 2014. During the pre-camp experience, Elana supports all the JCUSA staff from around the globe personally guiding them through the JCUSA program. Elana works closely with our partners at the JCCA facilitating all of the J1 visas. 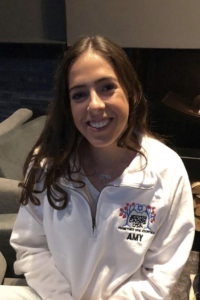 For the past three summers Amy has worked at Perlman Camp, going back for her fourth in 2019 as a Senior Unit Head. She worked as a cooking hobby leader for her first 2 years and 1:1 inclusion coordinator for her third, working with 11 and 14 year old girls as well as 7 year old boys. Amy’s favourite thing about camp is how quickly it became her second home and how fast her friends felt like family that she knows she will have for life. Amy is working on our training programme as well as lots of other new exciting projects for JCUSA. Amy is so excited to have joined the JCUSA family and to work with camp all summer and all year! 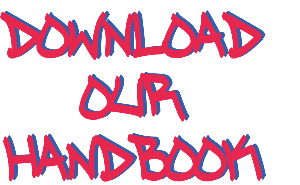 Sara is a third year student at the University of Nottingham studying industrial economics. She has spent two summers at B’nai B’rith Camp in Oregon and will be spending a third summer there. In her first year she was a general counsellor and then the following year was a unit leader for the teen village unit. Sara’s favourite thing about camp is that it is the place where she feels the most comfortable and at home, it is where she can be herself and it’s where she has created unforgettable memories and life long friendships. Sara wants to give that experience back to others which is why she has been the Nottingham Unit Head for two years now as well as this year being the Unit Head for London. James is the Unit Head for Leeds, he worked at Camp Mountain Chai last summer and had the most incredible time in the heart of the San Bernardino national forest. 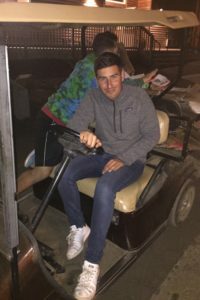 James was a Sports Specialist running all the sporting activities for camp and was then promoted to an assistant Unit Leader where he oversaw the evening programmes for the youngest age group (2nd -4th graders). The thing James loved most about camp was the 4-day trip to the Grand Canyon and Sedona where they went hiking down the Bright Angels trail of the Grand Canyon and to Devils Bridge in Sedona with 9thand 10th grade campers. James is currently a second year student at the University of Leeds studying Automotive Engineering and he loves all things sports, from football and Tottenham to Cricket and Formula 1. Tom is the Bristol Unit Head. He is in his second year at the University of Bristol where he is studying Economics and Politics. 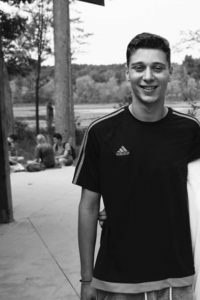 Summer 2018 was his first summer at camp where he was a general counselor at Tamarack Camps which is based in Michigan. He worked with 11-year-old boys who were just moving from the junior side of camp into mid-side. Tom’s favourite experience from last summer was being a colour war captain, having the opportunity to have an impact on kids across the whole of camp was such a great moment and something that he will never forget. Tom felt that Camp was such an amazing experience because it allowed him to encounter a family environment and go somewhere which is now a home away from home, where he has created so many strong friendships and made so many great memories. Alex is the Jewish Camps USA Manchester Unit Head. He is a recent Biomedical Science graduate from the University of Birmingham and also the former Birmingham Unit Head. Alex is currently taking a year out to do a bit of casual work, travelling and “finding myself” in typical gap year fashion. 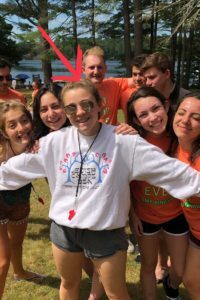 For the past 3 summers, Alex has been working at B’nai B’rith Camp Oregon as both a General Counsellor and an Assistant Unit Head and will be returning in 2019 as a Unit Head (fingers crossed)! Without sounding too cliché, camp has changed Alex’s life. He has grown massively as a person during his time at camp, discovering capabilities and even emotions he never knew he had. 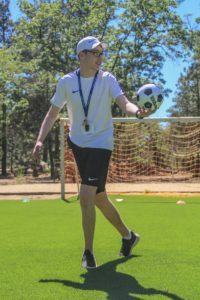 Alex’s happy place is camp – Camp, to Alex, is a place where as soon the gates shut behind me, he no longer thinks about the outside world and he is truly immersed in the incredible atmosphere of camp. Along with this, camp has enabled him to be his true self and has given Alex lifelong memories and friendships with fellow staff and campers. Nicole is the Birmingham Unit Head. She is a third year studying Geography at the University of Birmingham. For the past two summers, in 2017 and 2018, she has been a counsellor at JCC Camp Kingswood. Camp Kingswood is special as it is a camp where you are both a General Counsellor and a Specialist. 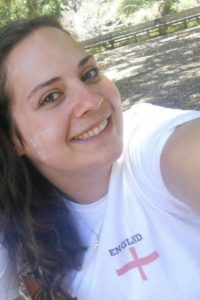 In her first year, Nicole was a Photography specialist as well as General Counsellor, and in her second year she was a Lifeguard and General Counsellor. This coming summer in 2019, she will be returning for a third summer as an Assistant Unit Head and Lifeguard. Camp for Nicole is a very special place, somewhere she feels she can truly be herself and where many of her greatest memories have been made. 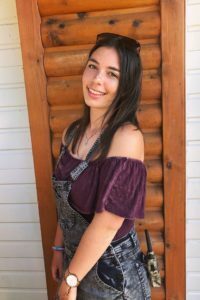 Nicole loves camp because it has enabled her to create strong friendships and relationships with both counsellors and campers, where she have been able to impact many campers lives for the better and has brought her to many of her closest friends. For this she will be forever grateful.